Following the IPOB 21 Million PortHarcourt Rally, where scores were killed and arrested by the Nigeria combined team of Force Men, Sixty Four(64) IPOB members who were abducted on the 20th day of January 2017, were arraigned today being the 23rd day of January 2017 in Magistrate Court 5 and Magistrate Court 7. The presiding Judge in Magistrate Court 7 is Chief Magistrate A.O Amadi, and the prosecutor Inspector Jonah Rufus. The Judge presiding over Magistrate Court 5, is Chief Magistrate Sir S.D Andrew Raja, while the prosecutor is Inspector Wilson Isaiah. The presiding judge Chief Magistrate Sir S.D Andrew Jaja presiding over the case in Magistrate Court 5 PortHarcourt, stated the court lacks the jurisdiction to try the case of treasonable felony which goes with Life imprisonment. 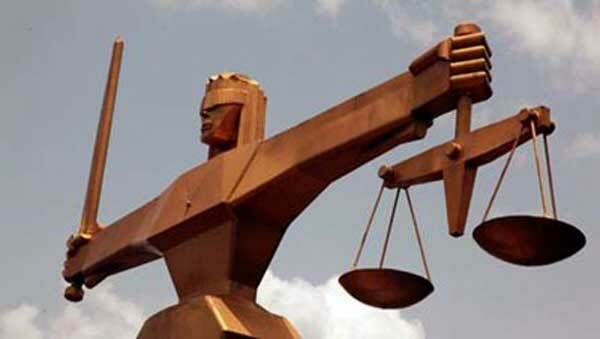 He went further to ask if the court can grant bail to matters of this nature, which was answered by the defending lead counsel Barrister Ejiofor, as he proved to the presiding judge that the Magistrate court does not lack the jurisdiction of granting bail. Stay tuned , as Family Writers bring to you more updates.